LOS ANGELES (CelebrityAccess MediaWire) — Danny Goldberg has teamed up with Wiz Kid Management's Ryan Gentles to found a new venture, entitled Gold Village/Wiz Kid (GVWK) to handle joint management projects with an eye to develop into a mid-sized music management shop. According to Variety, the new firm will be managing Dead Trees (along with Bryna Gootkind) Vincent Gallo (music projects) and Sean Tillman for both music and acting gigs. 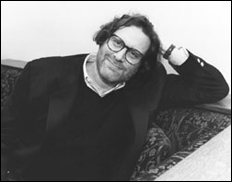 Goldberg formerly worked with a host of labels, including Atlantic, Artemis, Mercury, Modern and Warner Records as well as Gold Village Entertainment which manages Steve Earle, The Hives and Allison Moorer among others.